The Indian Air Force (IAF Bhāratīya Vāyu Senā) is the air arm of the Indian Armed Forces. 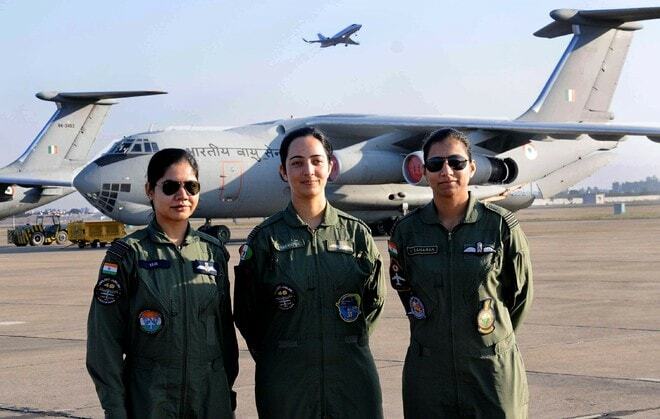 Its complement of personnel and aircraft assets ranks fourth amongst the airforces of the world.Its primary mission is to secure Indian airspace and to conduct aerial warfare during armed conflict. It was officially established on 8 October 1932 as an auxiliary Air Force of the British Empire which honored India's aviation service during World War II with the prefix Royal.After India gained independence from the United Kingdom in 1947, the name Royal Indian Air Force was kept and served in the name of Dominion of India. With the government's transition to a Republic in 1950, the prefix Royal was removed after only three years. The President of India holds the rank of Supreme Commander of the IAF. As of 1st July 2017, 139,576 personnel are in service with the Indian Air Force. The Chief of Air Staff, an Air Chief Marshal, is a four-star officer and is responsible for the bulk of operational command of the Air Force. There is never more than one serving ACM at any given time in the IAF. The rank of Marshal of the Air Force has been conferred by the President of India on one occasion in history, to Arjan Singh. On 26 January 2002 Arjan Singh became the first and so far, only five-star rank officer of the IAF.